Vancouver is already growing dark by 4:30 this December afternoon, and the lights in the city’s forest of skyscrapers begin to twinkle. Outlined in festive multicolored lights, a small flotilla of pleasure boats―the city’s much-loved “carol ships”―forms up out on Burrard Inlet. Through a break in the clouds, the setting winter sun makes the snow on the North Shore Mountains gleam. And everything―skyscrapers, boats, lights, snow-clad mountains―is reflected on the seawater that surrounds the city and in the rainwater that clings to its sidewalks and streets. The holidays are here. Vancouver sparkles. A cultural anthropologist could tell you why the holiday season is so cherished in northern latitudes―especially in thePacific Northwest. Days are short. Weather is cold and often gloomy and wet. Nothing green is growing. No wonder there’s a need to make merry. In short, Vancouver may just do the holidays better than any other city in North America. Don’t believe us? Pay a December visit and see. One secret to making the most of a Vancouver Christmas is to stay on foot and stay downtown. 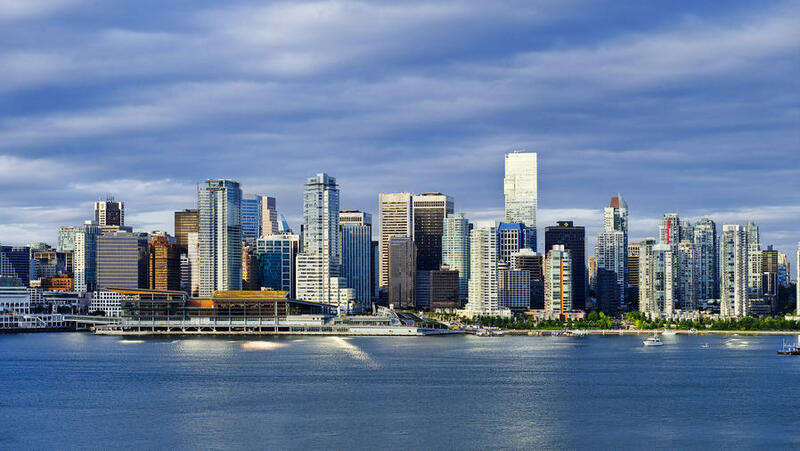 With its shops and gloriously decorated hotels, downtown Vancouver offers visitors a big-city holiday par excellence. Much of the action is centered on RobsonStreet―a fine place to stock up on Christmas items to bring back home. While shopping opportunities are countless, we’ll focus on some only-in-Vancouver stops. Looking for a tea cozy or a special GoldenJubilee blend in honor of Her Majesty? Go to Murchie’s Tea & Coffee. Got a mum with a sweet tooth? Pop into Purdy’s Chocolates for a raspberry or maple-walnut cream confection. For an experience that is off-limits in the States, visit La Casa del Habano for its wonderful Cuban cigars. Pick one up, go sit on a park bench, puff up a cloud, and watch the holiday shoppers scurry by. Finally, stop in at Lush and pick up a bar of its handmade lemon or lavender soap to take back to the hotel for a long soak in the tub.